Pakistan Telecommunication has introduced the new online game servers on different titles and the clients can get the whole new list of the titles of the platform for the games for the multi players. 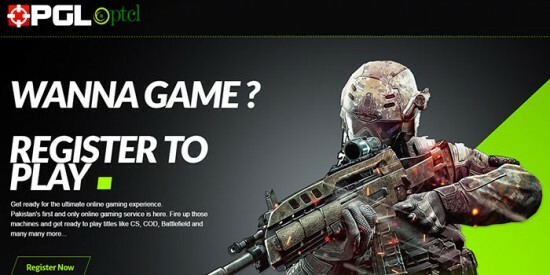 They can find the gaming lounge homepage of PTCL and the company will launch the CS:GO with different dedicated servers for the games with the introduction of the games and it will be launched in near future. The clients can view the complete list of the games and various others will add to improve the online experience of the games. When you start playing, the clients have to register themselves by visiting the link and they have to install the game client software on their computer and they can have access to the gaming lounge servers. The users must have working phone so that they can meet the requirements and they have to subscribe for high speed broadband packages. The gaming lounge is now available for all users and the PTCL users will get the special discount offers for getting the service. This service is providing to everyone and after 31 March 2016, this service will be provided with the charges and they will update the details on PTCL gaming lounge for the clients so that they can play their favorite game. The users will find the complete games on the PTCL and they will introduce it with various other titles and it will be added in coming time.